Review: Can't Say I Ain't Country • Tips, Trends & News in 60 Seconds or Less! As I spent the majority of my childhood growing up in Southern California, it was basically a crime to listen to country music past the occasional Taylor Swift song. However, as I grew more open to new ideas and music choices, I started falling in love with the melodies and meanings behind country songs. I found that the sweet lyrics that centered around the theme of simple lives full of love, paired with the upbeat folk sounds, were perfect for screaming along to in the car and dancing to on summer days. Recently, I could not hold in my excitement when I found out that one of the first country musicians I had ever listened to, Florida Georgia Line, was coming out with a new album. The 15th of February rolled around and Florida Georgia Line released their new studio album, “Can’t Say I Ain’t Country.” After hearing wonderful singles that captured my heart like “Talk You Out Of It,” a wonderfully romantic instant classic, I knew I was in for an incredible album. I have to say… I was not disappointed. While there were a few more skits than I would have anticipated, I found many of the songs completely lovable. One of my personal favorite songs on the album, “Blessings,” is about gratitude for a love so precious and rare that it feels like a blessing. 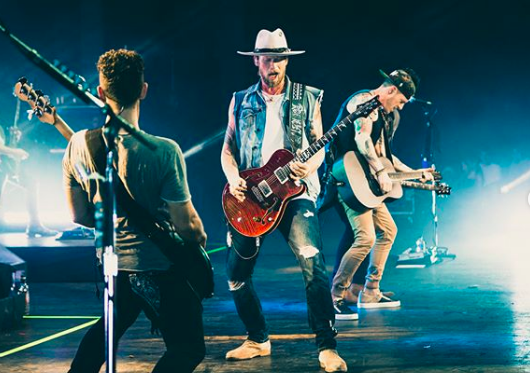 “I’d say I’m a lucky man… It sure ain’t hard to count your blessings,” sing Tyler Hubbard and Brian Kelley.